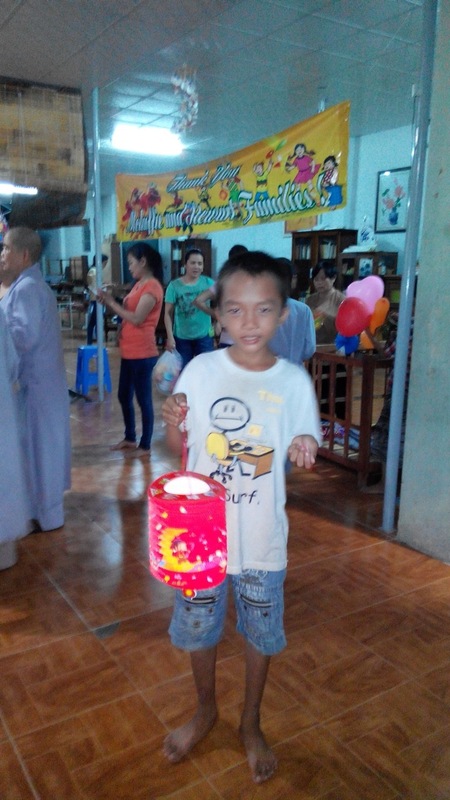 On September 24, 2015 we brought the Mid-Autumn Festival to the Song Lo Orphanage and the Song Lo neighborhood. 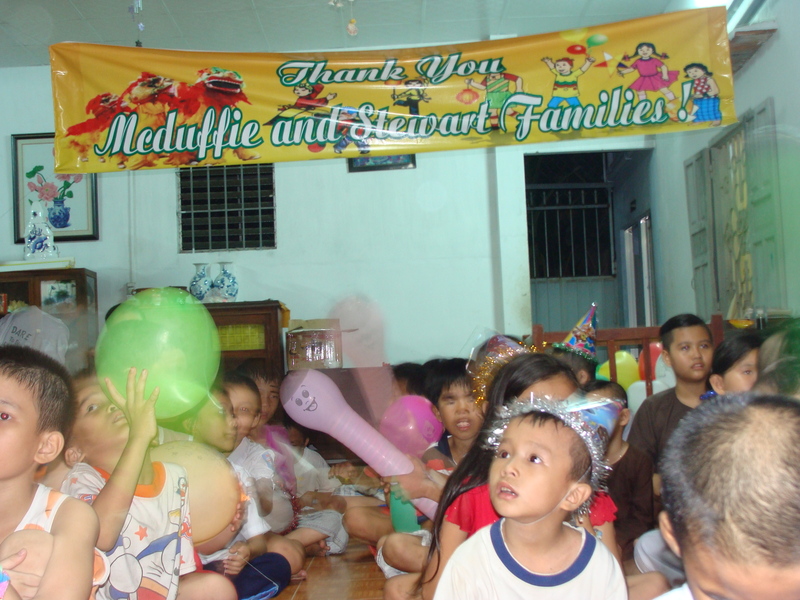 This fun visit was provided by the McDuffie and Stewart families. 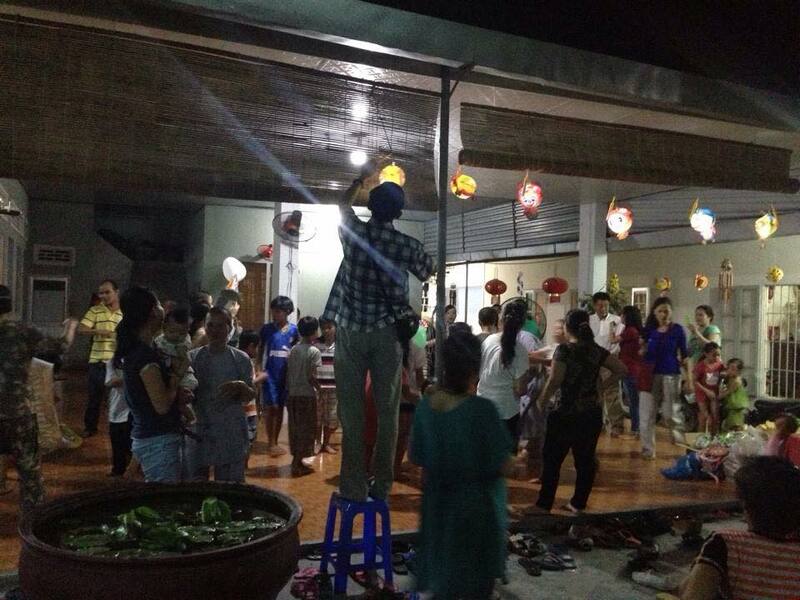 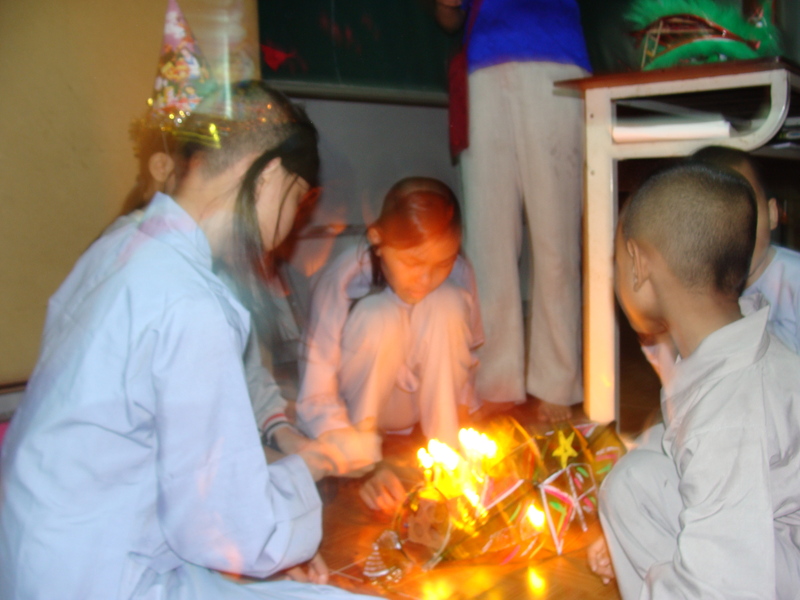 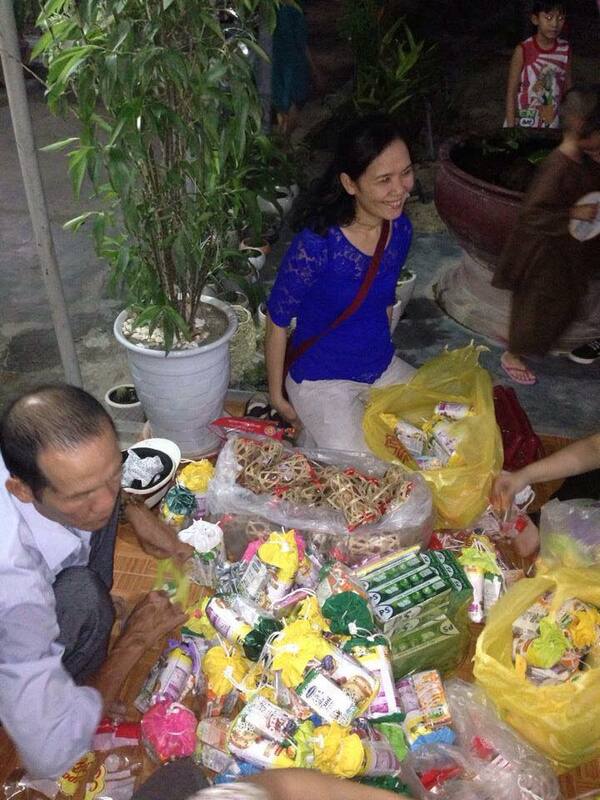 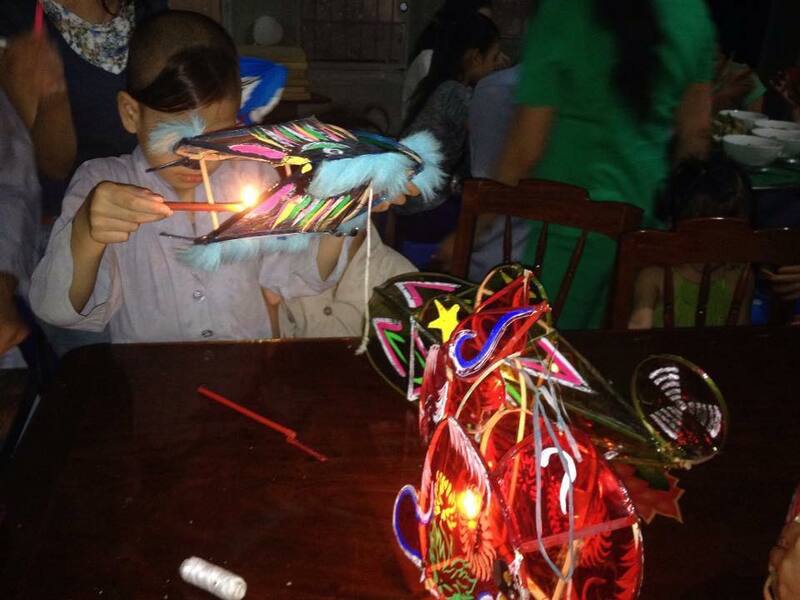 The Mid-Autumn Festival is a big holiday in Vietnam, and is especially fun for children. 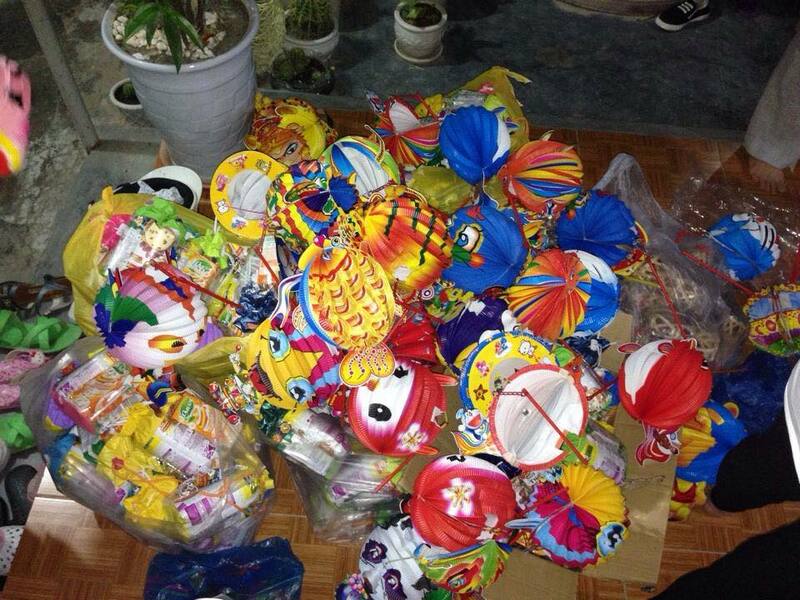 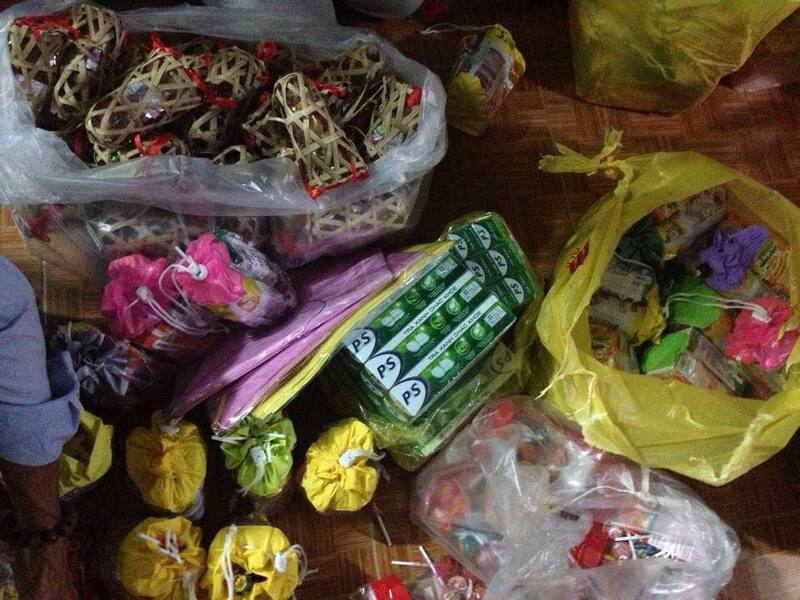 There are dragon dances, moon cakes, paper lanterns, and snacks for children. 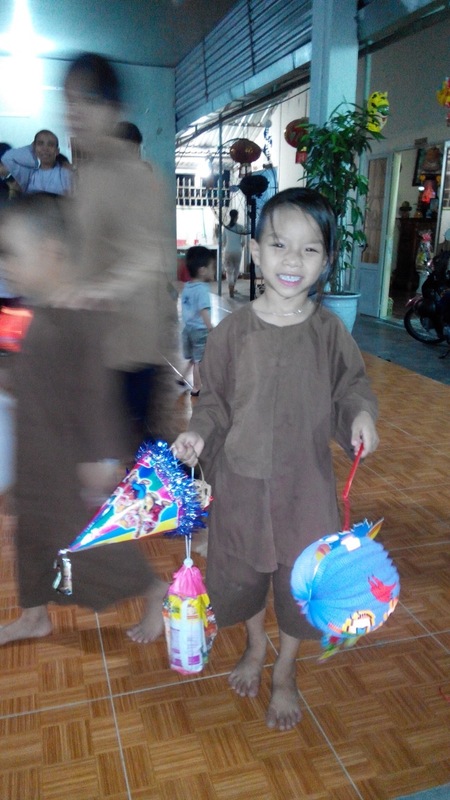 The village of Song Lo is deep in the countryside, and the orphans and neighborhood children rarely get to celebrate this children-focused holiday. 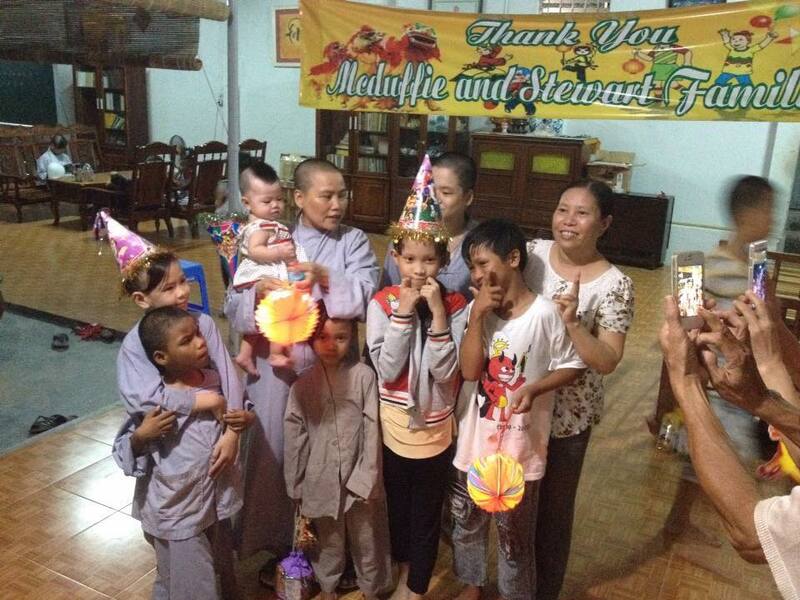 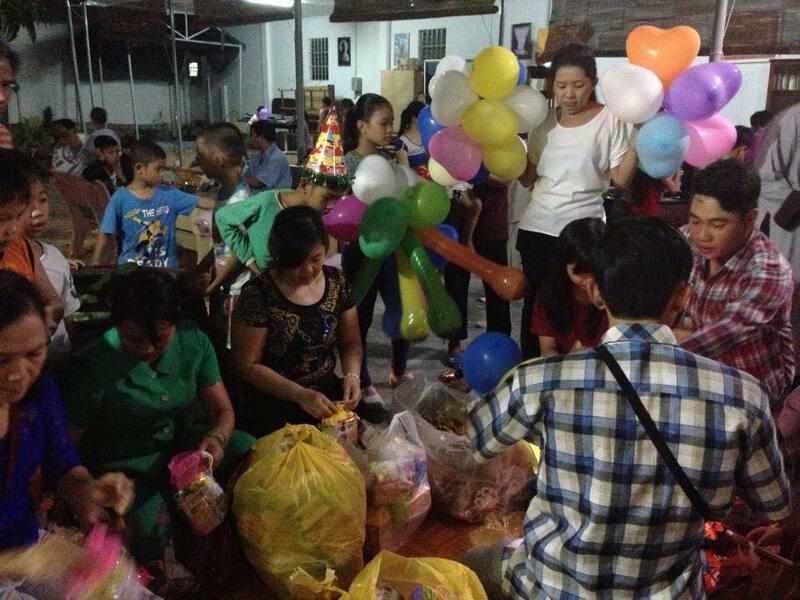 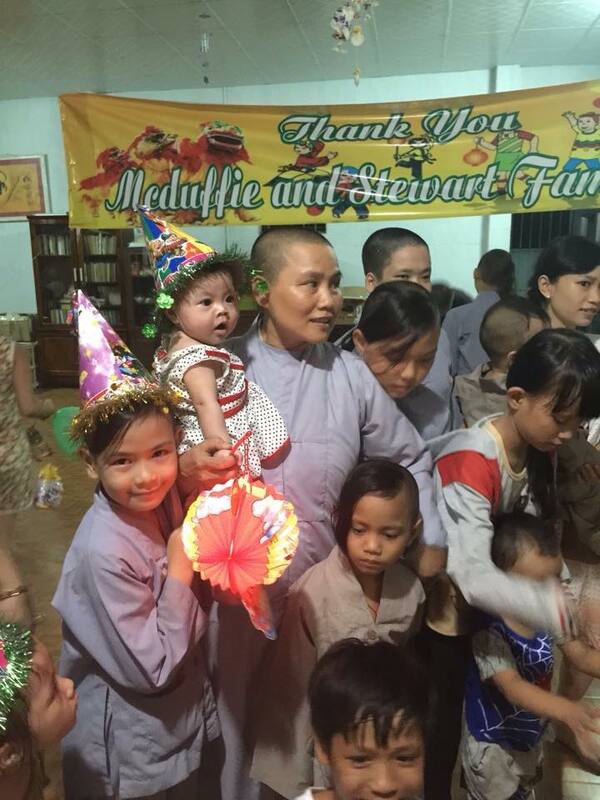 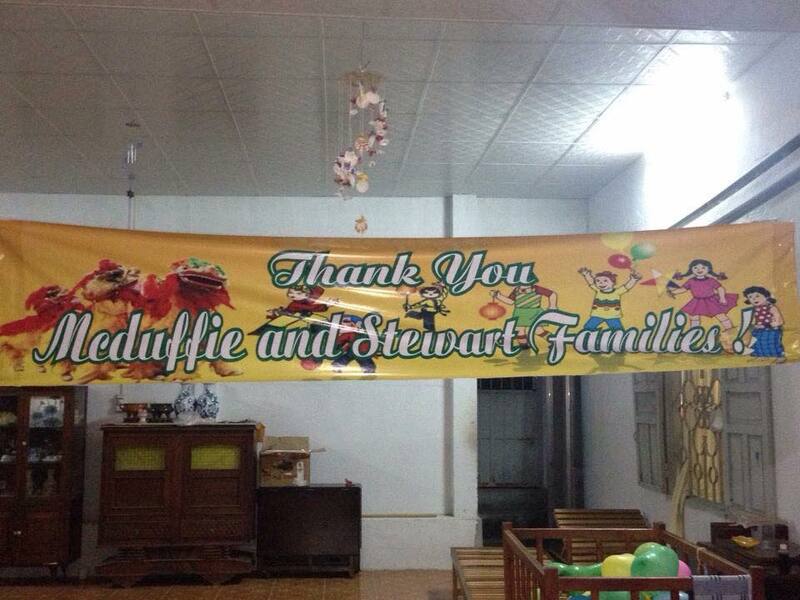 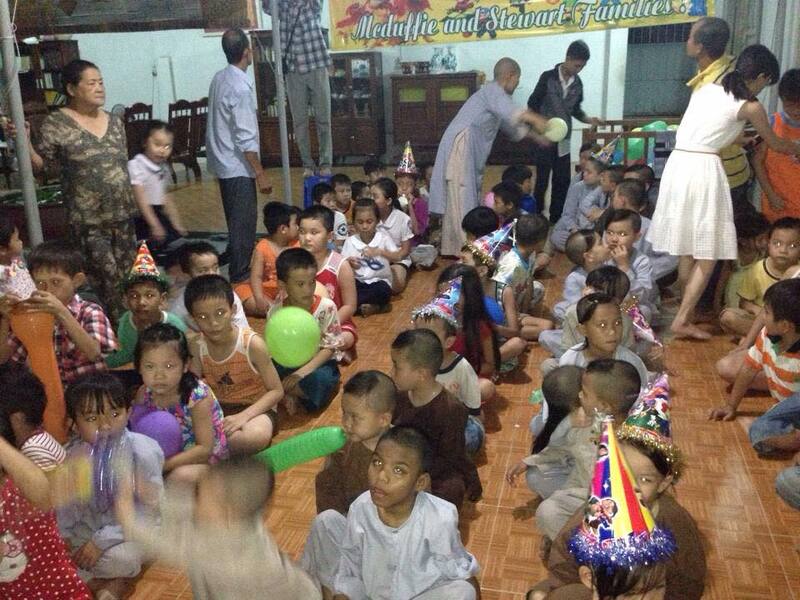 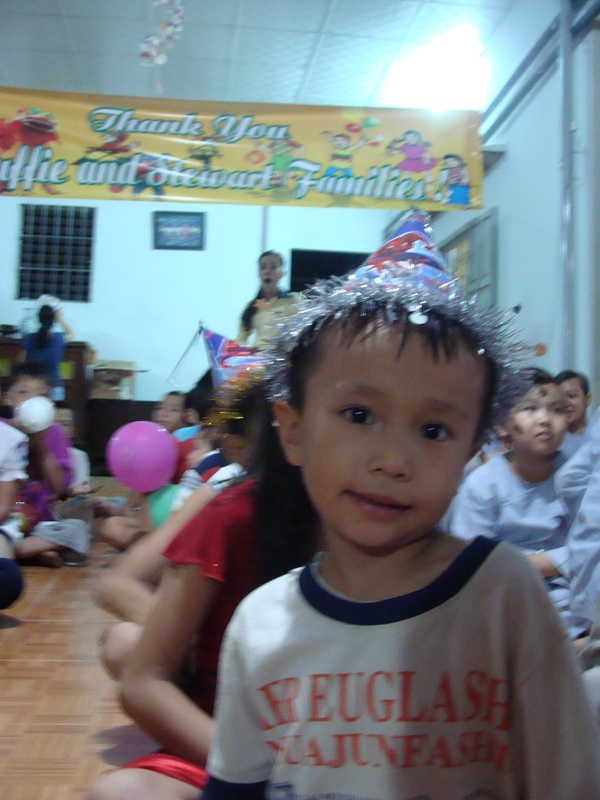 Thanks to the McDuffie and Stewart families, we brought a festive event to the orphanage. 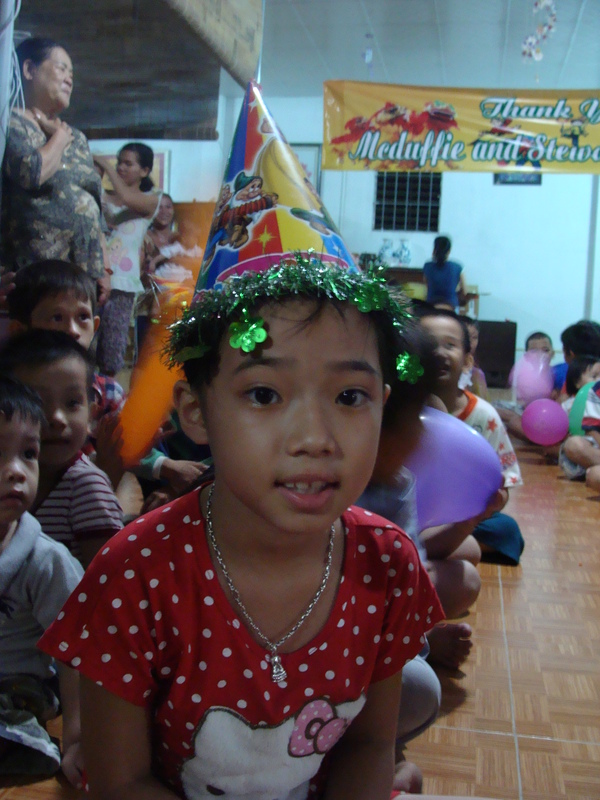 Our initial plan was to have the holiday only for the orphans, but when the poor neighborhood children saw all of the festivities, they asked if they could join. 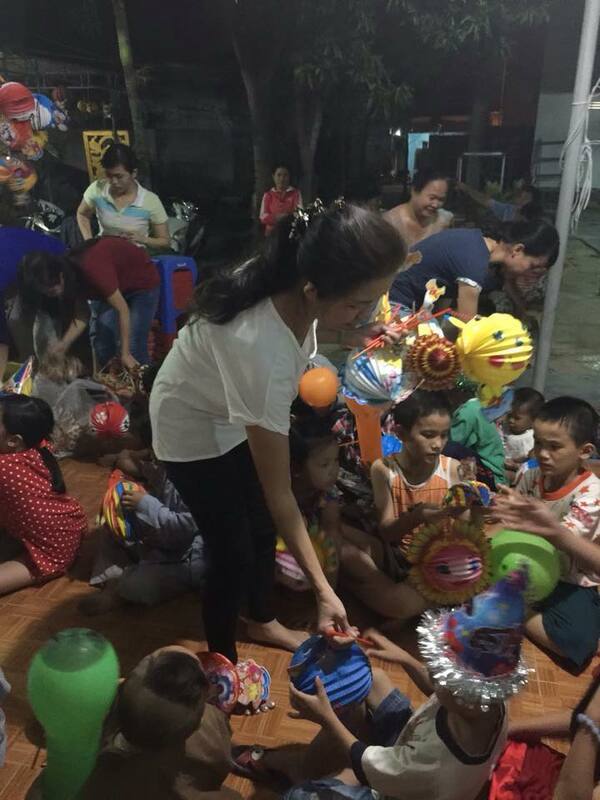 Our team, led by Loan and Nhan, decided the more the merrier! 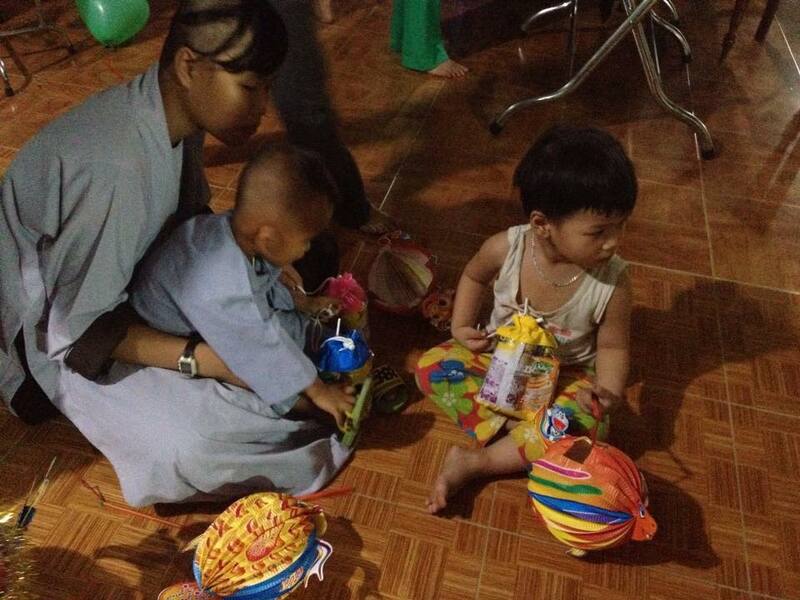 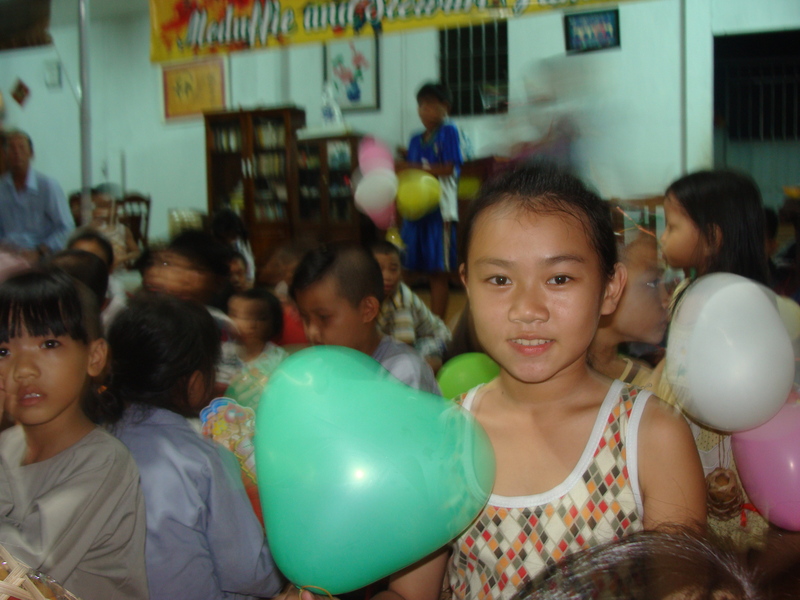 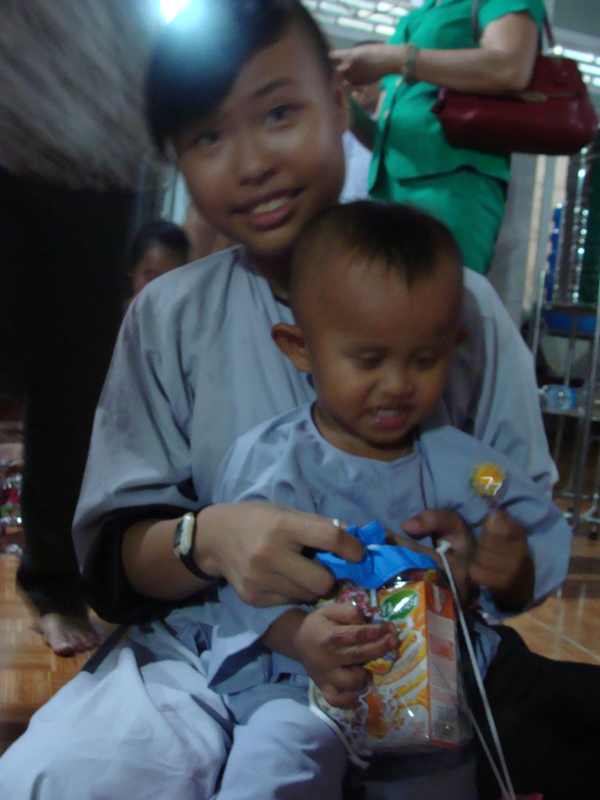 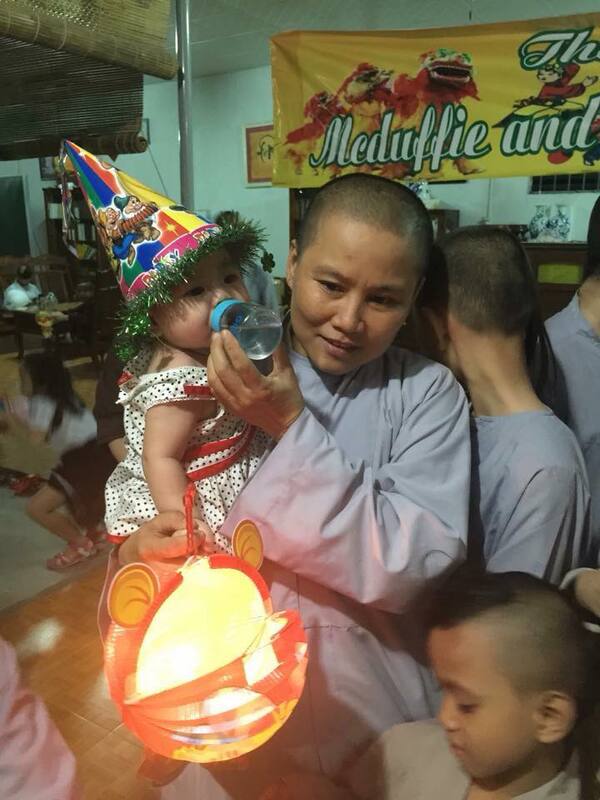 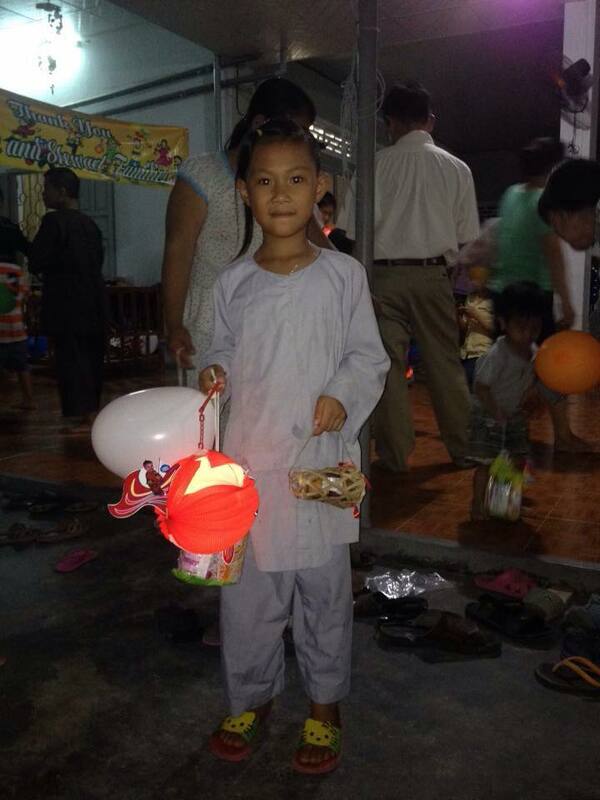 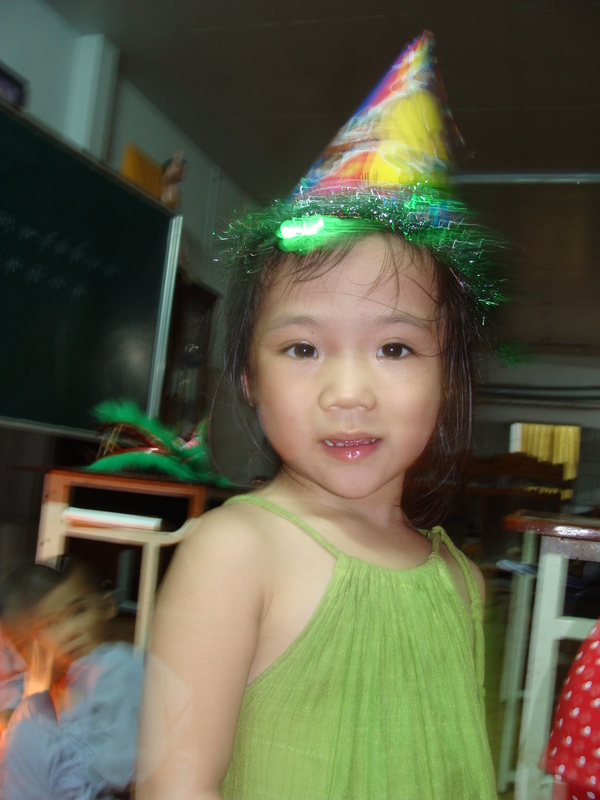 In addition to the orphans at Song Lo, 70 neighborhood children came inside and participated in the festivities. 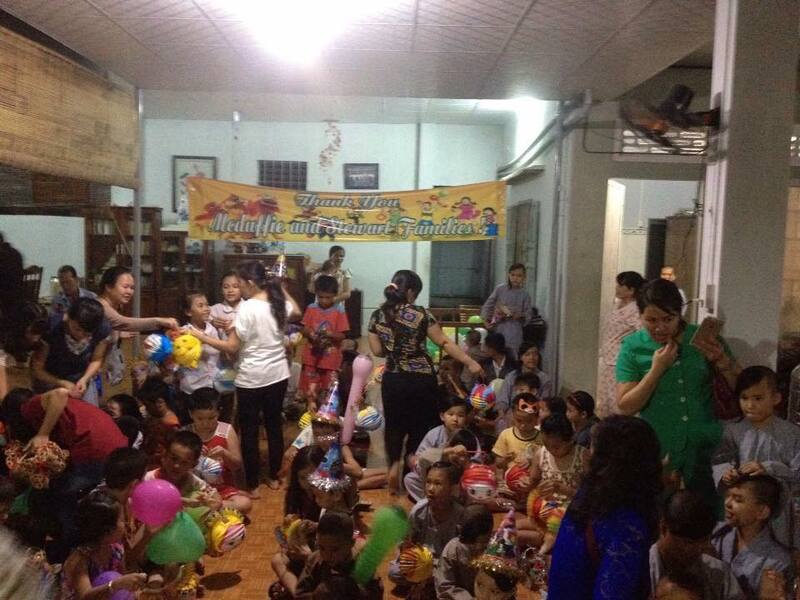 Our team decorated the orphanage, handed out paper lanterns and snack bags to all of the children, and passed around party hats and balloons. 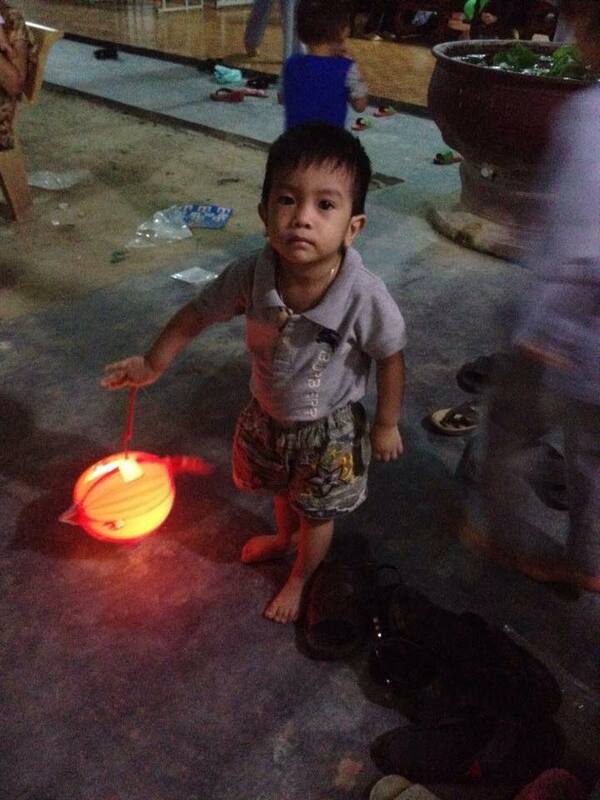 As night fell, the paper lanterns were lit, snacks were eaten, and it was a great holiday for everyone.